Some girls think that their generation invented sassy style. C’mon! One look at the Roaring 1920's and they are sure to realize that the flapper girls had fresh, fierce fashion sense down pat first! And isn’t that half the fun of dressing up like a flapper? Knowing that as you wear this Black Flirty Flapper Wig you are actually carrying on in a long, long line of ladies who all knew how to party, break the rules, and look good doing it. If you are not yet sure how you would feel in such a role, might we suggest slipping on this sleek, bobbed black wig for a spell? We think it may just imbue your night with a mysterious glow, gorgeous style, and flirty festivity you have never known--one that has lasted through the ages. 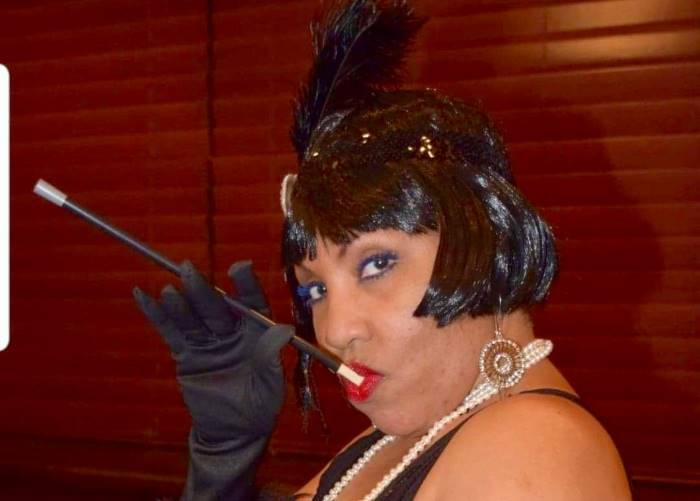 I wore the black flirty flapper wig to a roaring 20's event. I love the wig!! Not exactly like the picture. I was a little disappointed with the wig. It was not as short and sleek as the photo displays. I took it to my hairdresser who TRIED to make it look like the photo by trimming the bangs straight and the angle of cut at the chin. I guess I should not expect much since it is an inexpensive costume wig. It went perfect with my snow white costume!